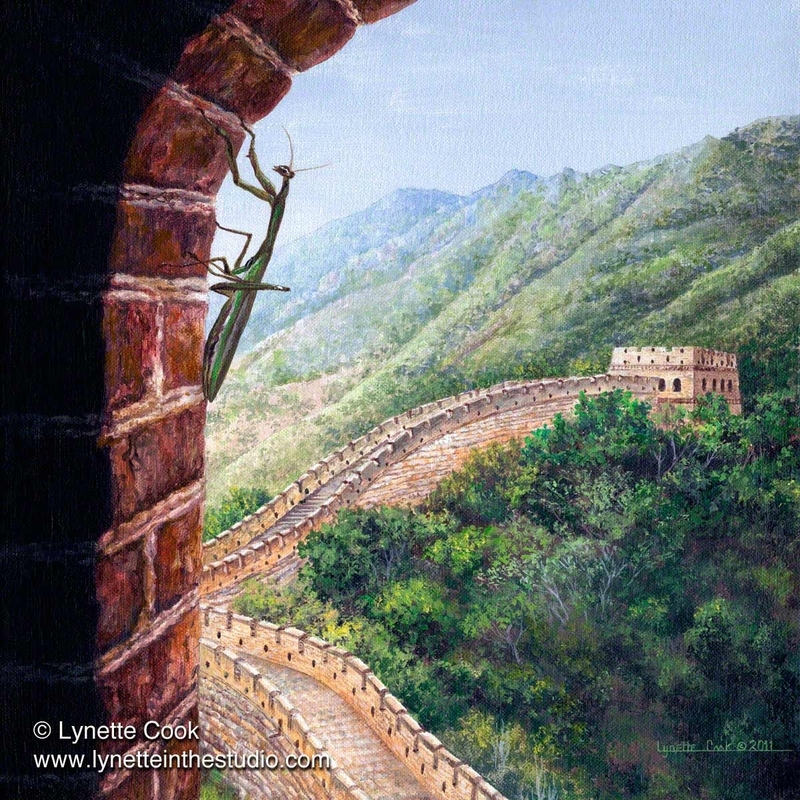 On our trip to China, my mother and I saw this praying mantis at the Great Wall. We were astonished, for we remembered seeing similar insects when I was a child growing up in Illinois. It symbolizes to me the fact that many human experiences are shared - regardless of geography, ethnicity, and other differences both real and imagined. Acrylic on Canvas.